At The Worshipful Company of Security Professionals’ Annual Dinner on Thursday 11 October, The Sheriffs of the City of London presented their annual Award for Bravery to David Burgess in The Egyptian Hall of The Mansion House, where the event was held by kind permission of The Rt Hon The Lord Mayor Alderman Charles Bowman. The Sheriffs’ Award was instituted by The Worshipful Company back in 2006. 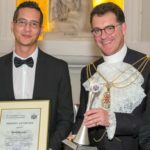 A national award for bravery, it’s designed to celebrate those heroes who have contributed towards safeguarding the nation’s “people, property or liberty”. 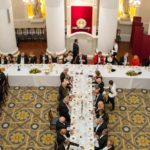 Attracting many notable nominations each year, the choice of the recipient of the main award is always a difficult task for the Judging Panel which includes the two current Sheriffs of the City of London and the two Sheriffs Elect. 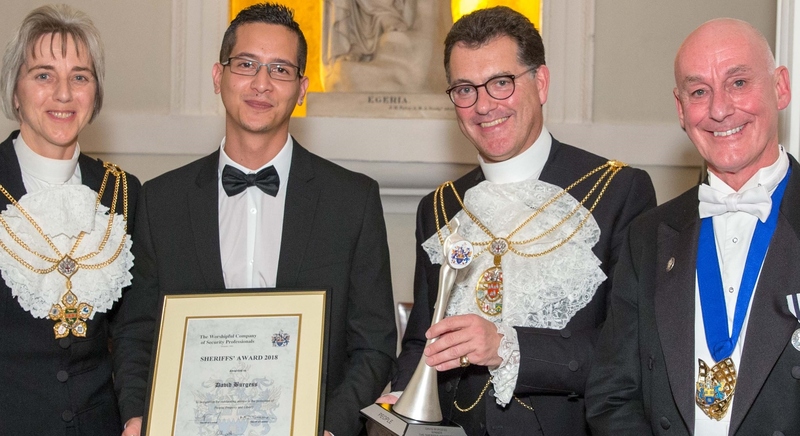 In front of some 200 Worshipful Company members and their guests, the 2018 Award for Bravery was presented by Alderman Vincent Keaveny and The Honourable Elizabeth Green to David Burgess for his selfless intervention in an assault where a male was being attacked and stabbed. Ultimately, Burgess’ courageous actions saved the man’s life. One of Hagon’s objectives for his year as Master is to grow the membership of The Worshipful Company by promoting the great work being done through initiatives such as the Sheriffs’ Award, The Whittington Course and the Chartered Security Professional (CySP) qualification that’s operated under The Worshipful Company’s Royal Charter. By membership, The Worshipful Company of Security Professionals is now reported to be the fifth largest of the 110 London Livery Companies. This is a reflection of its popularity within the security industry. It’s also quite an achievement for an organisation that’s not even 20 years old and also mirrors The Worshipful Company’s desire to attract members from all parts of the wider world of security and at every level. 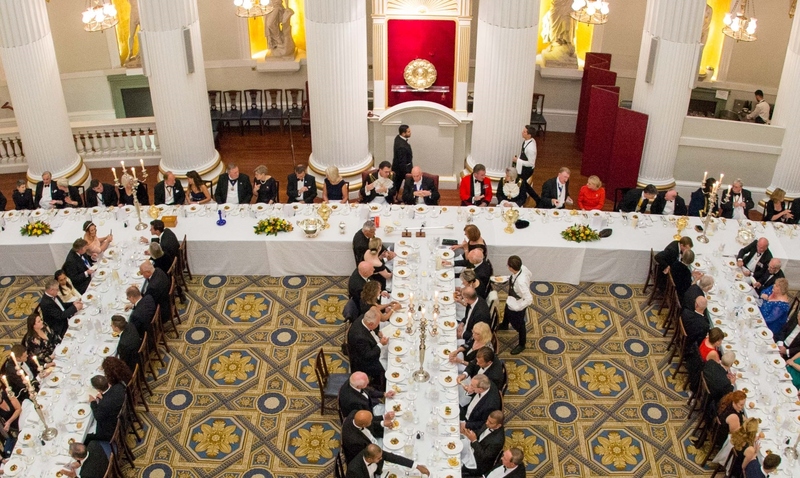 Indeed, The Worshipful Company is just as keen to welcome new apprentices to its ranks as it is the CEOs of the UK’s major security companies.